A small city state that continues to transform itself both by reclamation of land from the sea and remoulding of its physical landscape by the construction of buildings, tunnels and roads, Singapore needs sand. 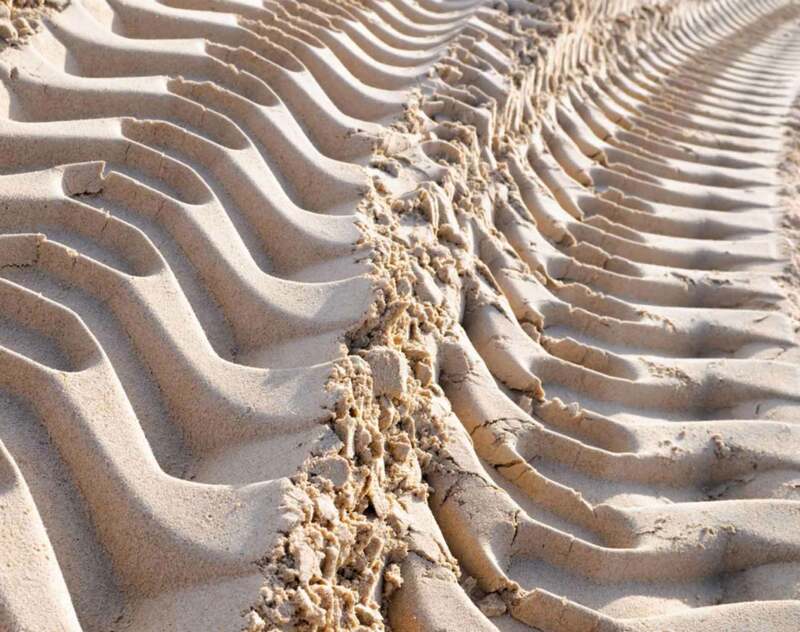 It needs land sand as a constituent of concrete, the most commonly used construction material in the world. It needs sea sand for reclamation work. And all of this sand needs to come from other countries. Given the high cost of transporting sand, Singapore's traditional suppliers were its neighbours, Malaysia and Indonesia. In 1997, Malaysia banned the export of both land and sea sand. This meant that Singapore's reclamation and construction industries became dependent on sand from Indonesia. In 2003, Indonesia banned the export of sea sand. This was followed in February 2007 by a ban on the export of land sand as well. Environmental concerns were cited. Less than a month later, the Indonesian navy detained barges carrying granite, which is another constituent of concrete, claiming that those barges might be smuggling sand along with the permitted granite. The barges were released about four months later. The effects of the ban on export of sand and the detention of barges were immediate and highly disruptive to a construction industry that was gearing up for a renewed phase of physical development – a new financial downtown in Marina Bay, two casino complexes and a stretch of new retail malls along Orchard Road. Prices of sand and aggregates tripled. While the government quickly responded with three short term measures, namely release of sand and granite into the market from the government's stockpile (allocated and managed by the Building and Construction Authority ("BCA")), assistance with diversification of supply sources and co-sharing 75% of the increased costs of sand and granite for public sector projects, disputes were sparked between suppliers of ready mixed concrete and building contractors in relation to their long term supply contracts. Three years later those cases that were not mediated or otherwise settled have mostly worked their way through the court system. This article offers a brief survey of the court’s treatment of these cases. The first case to reach the courts involved the main contractor for certain train stations and tunnels for the Circle Line of the Mass Rapid Transit System, NCC International AB ("NCC"). NCC had a supply contract with Alliance Concrete Singapore Pte Ltd. This stipulated that there would be no adjustment of rates for any price fluctuation in the costs of labour, materials or goods or for any changes in legislation or regulations. There was also an arbitration clause. The project was eligible for sand from the government’s stockpile, but this was priced higher than the original contract price. NCC and Alliance could not agree on how to collect and pay for the sand distributed by BCA, with NCC insisting that, under its contract, it was entitled to sand at the agreed price regardless of the effects of the sand ban, while Alliance wanted to renegotiate prices. NCC applied to court seeking a mandatory injunction for supply of sand at the agreed price. The case therefore raised two issues: how the court should exercise its powers in support of arbitration proceedings, as well as the interim enforceability of the firm price clause in the circumstances of the sand ban. The application was dismissed at first instance, and this dismissal was upheld on appeal, in a judgment delivered a year after the sand ban was imposed (NCC International AB v Alliance Concrete Singapore Pte Ltd  SGCA 5,  2 SLR 565). The ratio of the decision was that an interim injunction should only be sought from the court rather than the arbitral tribunal in exceptional circumstances. The judgment included criticism of NCC's delay in commencing arbitration proceedings, inferring from this an abuse of court process, namely an attempt to obtain what in substance would amount to specific performance, without a full determination of the merits. In locating its decision against a background of reasonable conduct, the Court of Appeal set the tone for subsequent treatment of the issues arising from the sand ban. The next case that came up for decision also concerned a long term supply contract for ready mixed concrete to a contractor (Downeredi Works Pte Ltd v Holcim (Singapore) Pte Ltd  SGHC 203,  1 SLR 1070.) In this case, however, the supply contract provided that prices might change if there was 'material price movement'. There was also a provision excluding liability for liquidated damages and consequential loss of profits. Following the sand ban, the supplier, Holcim (Singapore) Pte Ltd ("Holcim"), attempted to raise the price of supply by sending revised quotations to the contractor, making reference to the sand ban. The contractor refused to accept this increase. When the supplier declined to supply on the original price, the contractor sued for damages for breach of contract. The court accepted the defence of the supplier that it had been contractually entitled to seek an increase in the prices paid, and dismissed the claim. The same supplier, Holcim, was involved in another case (Holcim (Singapore) Pte Ltd v Kwan Yong Construction Pte Ltd  SGHC 231,  2 SLR 193). This time, Holcim had suspended supply under its original contract on the basis of a force majeure clause, and negotiated a new contract with higher prices. The force majeure clause included a reference to disruption of supply by virtue of 'shortage of materials'. When the supplier sued on unpaid invoices under the new contract, the contractor, Kwan Yong Construction Pte Ltd ("Kwan Yong") alleged that it had agreed to the higher prices under economic duress, and was entitled to pay for the supply of concrete only at the original price. It also argued that there had been no consideration of the new contract, as the supplier was only doing what he was already contractually obliged to do, but for a higher price. The supplier relied on the force majeure clause, and in the alternative argued that the original contract had been frustrated, with the consequence that the supplier had been discharged from performance. The court held in favour of the supplier, both on the ground of the force majeure clause and on the ground that the original contract had been frustrated. This latter finding was controversial, given that the sand ban in general only increased prices, making supply contracts more onerous to perform. The doctrine of frustration only applies where the unforeseen change in circumstances makes performance impossible. Alternative sources of supply from other South East Asian countries did become available. However, the finding was probably justified on the particular facts of that case, because the contractor had failed to assist the supplier to draw on sand from the government stockpile, a process that the contractor had to initiate and facilitate for it to happen. In relation to the question of consideration for the revised contract, the court also took into account that the contractor had relied on the sand ban to obtain an extension of time from the employer, which was the Ministry of Education. Thus, the contractor had benefited from the revised bargain it had struck. In this case, the court’s inquiry into how reasonably each party had behaved in responding to the sand ban, implicit in the earlier decisions, became explicit. In the fourth case, Precise Development Pte Ltd v Holcim (Singapore) Pte Ltd  SGHC 256, which also involved Holcim, the court came to the opposite conclusion from that in the case involving Kwan Yong. The court held that Holcim was not entitled to rely on an identically worded force majeure clause. This was because, unlike Kwan Yong, the contractor in this case had offered to assist Holcim to obtain sand from the government stockpile. However, Holcim rejected the contractor's offer. The court considered that had Holcim accepted the contractor's offer, the general shortage of sand caused by the sand ban would not have had the effect of disrupting Holcim's ability to supply in this particular case. It was Holcim's conduct, rather than the sand ban, which had brought about its inability to supply. Consequently, Holcim could not rely on the force majeure clause. In the fifth case, G&W Ready-Mix Pte Ltd v Sinotac Builder's (S) Pte Ltd  SGDC 277, the supply contract had neither a force majeure clause nor any provision for an increase in prices. In this respect, the case differed from the three Holcim cases, and was similar to the contractual arrangements in the NCC case. While this placed the contractor in a stronger position, the court's holding in favour of the contractor for refusing to agree to higher prices unilaterally fixed by the supplier was reached after considering the reasonableness of parties' conduct. In particular, the court noted that the contractor had attempted to discuss the revised pricing with the supplier, but had been rebuffed, and there was also some evidence that the supplier had tried to exert pressure on the contractor to agree to pay higher prices by withholding supplies at a critical stage in the projects. However, this decision is at the level of the District Court and is under appeal to the High Court. While the courts have sought to resolve disputes arising from the unprecedented (for Singapore) disruption to the construction industry caused by the sand ban, looking principally to the reasonableness of parties' conduct in the light of the agreed contractual arrangements, the government has attempted a legislative fix, to minimise disruption in future. This takes the form of a licensing regime for importers of essential construction materials, such as sand and aggregates. A licensed importer must now have in place a procurement plan that outlines measures to handle any sudden supply disruptions. Given recent concerns expressed by the governments of Cambodia and Vietnam, both of which have become major new sources for the supply of sand to Singapore, the resilience of this new regime may well be tested. This is especially likely if the pace of construction in Singapore, which slowed in the past year, picks up again. End note: This article was first published in the March 2010 edition of Construction Law International.